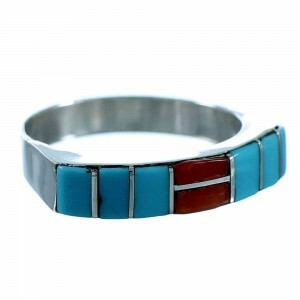 The beautiful features in this ring will make you appreciate Native American art! 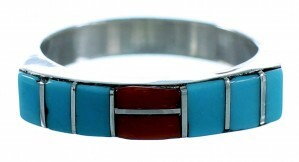 This piece of Native American jewelry is Zuni hand crafted by artist Verona Waikaniwa, out of genuine sterling silver, along with real Turquoise and Coral inlay. 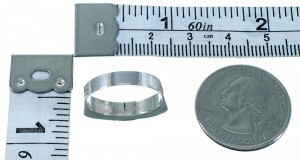 The inlay is carefully set, while being accented by thin silver lines for a perfect finish. 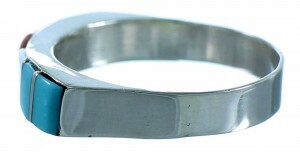 The ring is signed Zuni and by the artist.